I know this about you: you want to make meaningful and lasting connections with your kids. As a busy homeschooling mom of six, I completely understand that when the house is a mess and the laundry pile is overflowing and life feels just plain crazy, spending a few minutes reading aloud with my kids- even the kids who can read to themselves- is the most important thing I do all day. It’s an opportunity to be fully present- and that is a gift beyond measure these days. That’s why we started offering Author Access events at the Read-Aloud Revival… because those moments we spend with our kids during read-aloud time have a profound affect on our relationship. Introducing our kids to the creators of those stories? Takes everything up a level. I take you behind the doors of membership and let you listen in on some of our member-only Author Access events. These are live video streams where kids got to meet authors and ask their questions in real time. Oh you’re just going to DIE when you hear Andrea Davis Pinkney. (And if you have a child who struggles with schoolwork or who may be dyslexic, I urge you to listen to hear what she has to say about that. 😍). 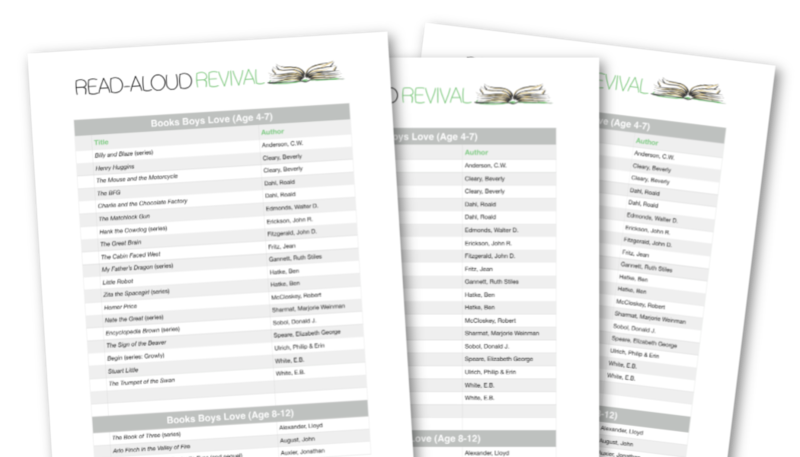 Read-Aloud Revival Membership is a place where intentional parents go to get the tools they need to make meaningful and lasting connections with their kids through books. 1) First, get equipped by taking a master class or a workshop. 2) Second, inspire your kids. Author Access events do this in spades (if you haven’t yet, listen to today’s podcast. Just click the play button above). 3) Third, tap into a community. You want to surround yourself with like-minded people who are committed to the same important work you are- of making meaningful and lasting connections with their kids through books. If you are seeking to create a book-loving culture in your home, one where relationships are rich and meaningful and inspired, you are not alone! We’re all here rooting you on, doing the same thing in our own homes. You’ve found your people. Spring registration closes on April 6th and then won’t re-open until October, so you don’t want to miss it.